TravelVision: Florida - Winter Wonderland? Sorry, no snow here, no lumps of coal either. 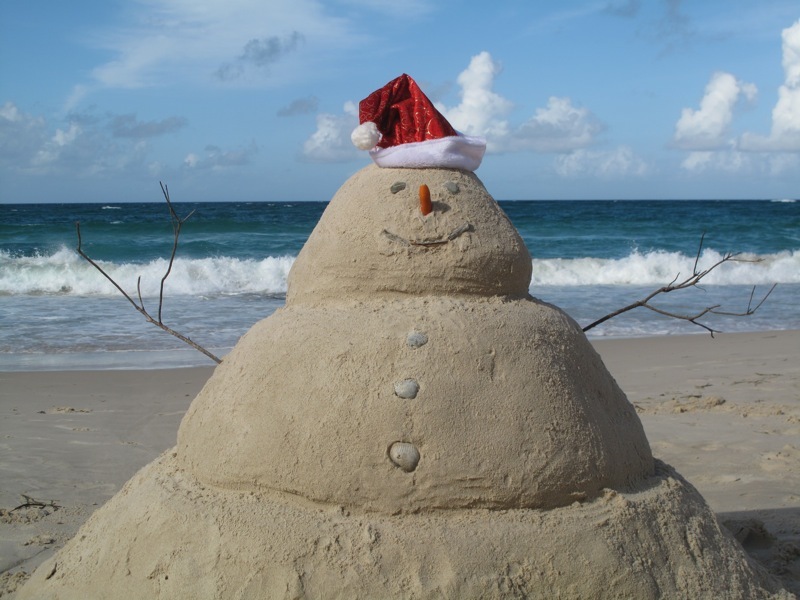 Instead you'll have to build a sandman, shed the coat, hat and scarf and use shells for the eyes, then falls asleep from warmth of the sun and gentle lapping of the water against the shore. Trust me, you won't miss the snow. Wish you were here?